I liked newsletters. I subscribed to newsletters. I recognized the importance of newsletters as marketing tools. But, I had no clue how to make one. So I learned and wrote this guide on how I did it. Disclaimer: This guide isn’t the best way, but it is a way. If you are as lost as I was, maybe this guide is just what you need to get started. I wanted to send an email to a list of people who signed up to receive the email. I would need a way for people to sign up, and it would be nice to send them an email, greeting them when they sign up. There are many different tools I could’ve used. Marketing automation is a scary world that intimidated me. MailChimp is a big player which I’ve tried before, but never got the hang of it. After some searching I decided to use Campaign Monitor to send the emails and Instapage to create a signup page. With Instapage, I made a landing page with a signup form. I also created a confirmation page that users were sent to after they signed up. With the 30 day free trial, I could add social media integrations, link Google Analytics, and send the signups to Campaign Monitor’s email list with relative ease. While at your dashboard, click the “Create New Page” button and use their templates and WYSIWYG (what you see is what you get) editor to create your page. Click “Add New” at the top of the page and add video, text, images, and whatever else you like! To make the signup form just drag a form element onto the page. And that’s it for now. We’ll have to set up our Campaign Monitor account first and come back to the landing page to link the form, but I’ll cover linking now while we’re here. Select the form element and click “edit”. Click “Add New Account”. You’ll be sent to Campaign Monitor where you’ll need to verify your account, then sent back to your landing page to confirm which email list you want to use. Again, you don’t need to do this now because we haven’t even created our Campaign Monitor account! But come back to this section when you’re ready. If you’d like to use a custom domain, here is Instapage’s support article. You might have to contact your web admin/host provider for more details because this step is specific to each user and their domain settings. This step is optional but if you’d like to track your landing page in order to increase your email list, I would highly recommend connecting to Google Analytics, it’s easy and free! Sign up and create a new account for your new project. If you have another project that you want to track, then make a new account just for that. Inside of the newly created account, create a new property for your landing page. If you have an app or other website that is a part of this project, you’ll want to create another property to track that separately. Views are how you see that data that’s being collected. A best practice is to create three views. One to collect all the data that you don’t touch, another to test data with, and a third that has the successful tests and is the one you analyze and draw conclusions from. That is a little background on how to set up Google Analytics which may be a confusing if you’re new to it, but at the end of this you should have one account for your project, one property for your landing page, and ideally three views. Now comes the easy part. While on the “Admin” tab of Google Analytics, select the right account, select the right property, click “Tracking info”, click “Tracking Code”, and then copy the “Tracking ID”. Go back to your landing page, click “Settings”, click “Analytics”, and then just paste the Tracking ID. Now you’ll be able to see data, like how many people are visiting your landing page, whether they’re new and returning, and other useful information! As an Instapage paying customer you can edit the HTML of your landing page to include event tracking codes in order to see what buttons they click and pages they go to. Campaign Monitor is where we’ll make the email template and send out our emails. 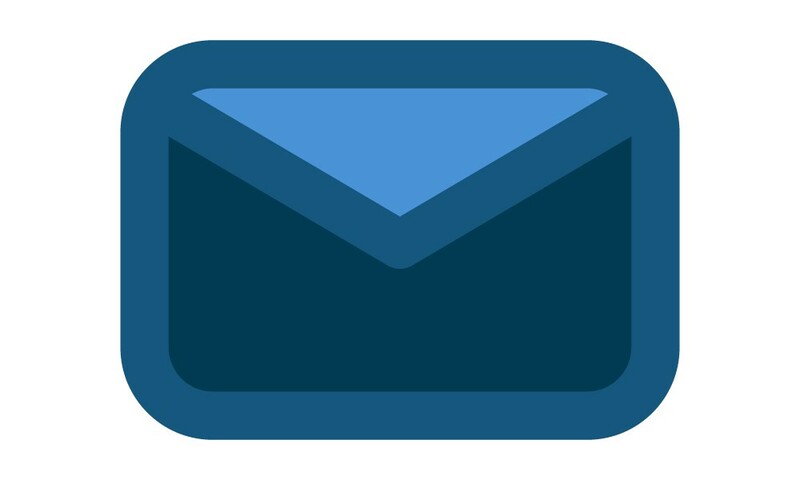 Now that we have an email list ready to accept subscribers and a way for people to sign up to the list, we can make an email template to use in our campaigns. In Campaign Monitor, your templates are accessible underneath your username/avatar, just click “My Templates”. You can make a template by clicking “Create a New Template” and design it with there WYSIWYG editor. Then you might want to set up some automation, like a welcome e-mail. Click the “Automation” tab and then click “Create a New Journey”. And for the trigger for this journey select when a “Subscriber joins the list”. Click the plus button to add a step to the journey and select an e-mail to send. Scroll down on the left-side of the screen and click “Add Email Content”. Use your template that you already created, click preview in the top right, and when you return back to the “New Journey” screen, click “Turn On Journey”. Now, when a subscriber joins the list, they’ll be sent the email you just edited! Every email sent out is called a campaign. You can schedule these to go out at certain times and even see the open/clicked rate of each campaign. Go to the campaign tab and click “Create New Campaign”. At this point it’s rinse and repeat. Name the campaign, pick your template that you already created, add the content, click “Preview” in the top right and then “Define Recipients”. On the next page select your e-mail list and then either schedule the campaign for later or send it immediately. And that’s it! You now have a landing page that people can go to and sign up at. When they sign up they’ll get added to your list in Campaign Monitor (and your Instapage list which is referred to as “Leads”) and be sent a welcome e-mail. And if you set up your campaign, they’ll get that at the scheduled time you chose. You can comeback to the campaign and edit it before it’s sent out. Remember, this probably isn’t the best way to make a newsletter but it’s the way I did it. And if this way isn’t right for you, hopefully this guide made the process a little more clear. One thing to note is that this method costs money. Instapage offers a 30 day free trial which is then $39/mo or $29/mo when signing up for an Annual Basic plan. Campaign Monitor charges you based on the size of your list. I have 30 subscribers on my list so its is costing me $9/month. Google Analytics is free! The list I decided to make is called This Is Not Normal. Trump’s presidency took me by surprise. I was upset, confused, and felt like I needed to do something. I noticed there was a normalization of his behavior and realized that posed a serious threat. I decided to make a bi-monthly newsletter that reminded subscribers of the more serious issues relating to trump, not the Hamilton musical debacle or the other things he tweets about to distract you from the real news. No, this email list is not the solution to the normalization of his racism, sexism, and xenophobia. The real solution is much, much bigger than a simple email list. But again, something inside me needed to create something, so I did. If you’d like to sign up please visit: www.donotnormalizetrump.com.